When Brandon Hardy goes abroad, he takes a large audience with him. With more than 4,000 followers on Instagram and thousands more on Facebook and Snapchat, Hardy has a loyal audience every where he goes. His social media presence continues to grow, as Hardy travels to seven countries in two years. 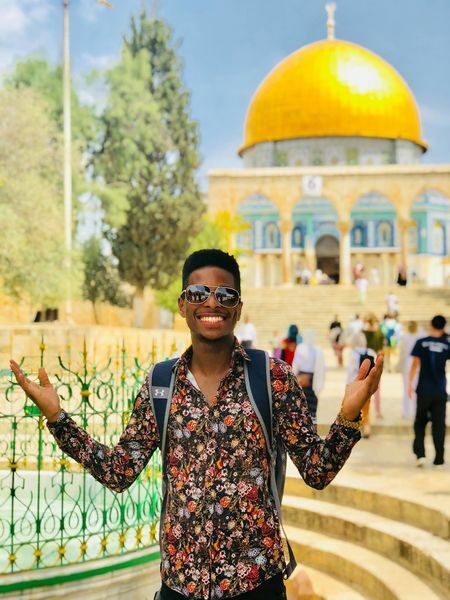 The business major from Atlanta realized the power of his platform recently, while participating in the Jerusalem Global Gateway summer program. 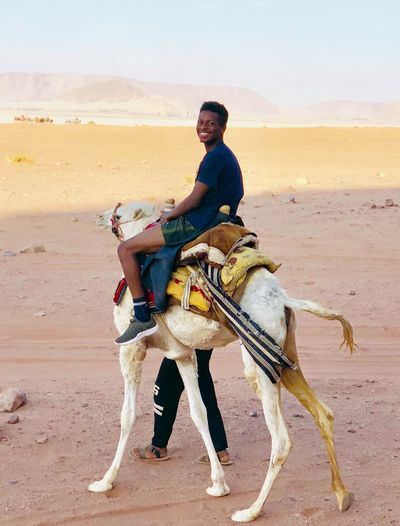 He took his followers along as he rode a camel in Jordan, visited a Palestinian refugee camp, and jumped into the Red Sea. “I can’t swim, so jumping into the Red Sea was a brave move for me and I felt all of this support from my Notre Dame friends and family,” says Hardy. Hardy continued to share those experiences, through a series of images, graphics and text. As he walked into a Palestinian refugee camp, he was struck by the faces of the local children. He made several posts about his interaction with the children and how they inspired him. At one point, Hardy took his followers along a journey to test out his culinary skills and prepare a traditional meal in Jerusalem. It sparked a lot of interest and conversation, specifically from back home. The reciprocity of that message gave Hardy a new perspective. “It’s not about me embracing these opportunities; it’s also about me sharing those experiences the best way I can,” says Hardy. Hardy says he began to feel an obligation to share more of his world to his followers. Growing up in Atlanta, Hardy says his world was once very small and limited. His family didn’t have the funds to travel and he never even left the state of Georgia. As a first generation college student at Notre Dame, Hardy now sees it as his mission to help bring a global perspective to everyone through his social media presence. Hardy will return to campus this fall, after doing an internship in Ireland over the summer. He hopes to participate in a study abroad program in Africa next Spring. Originally published by Colleen Wilcox at jerusalem.nd.edu on August 09, 2018.